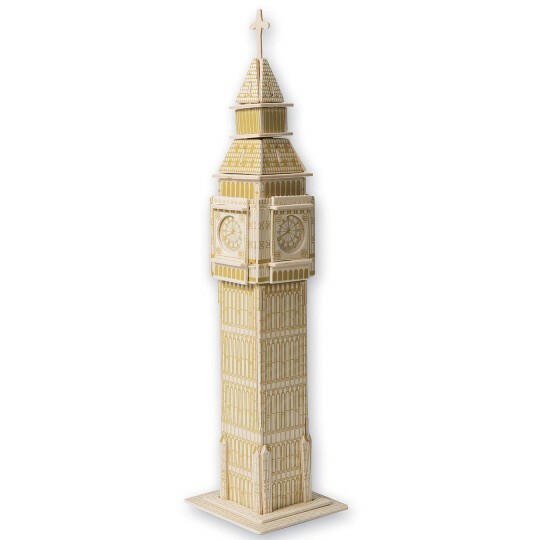 Easily assemble this popular landmark! 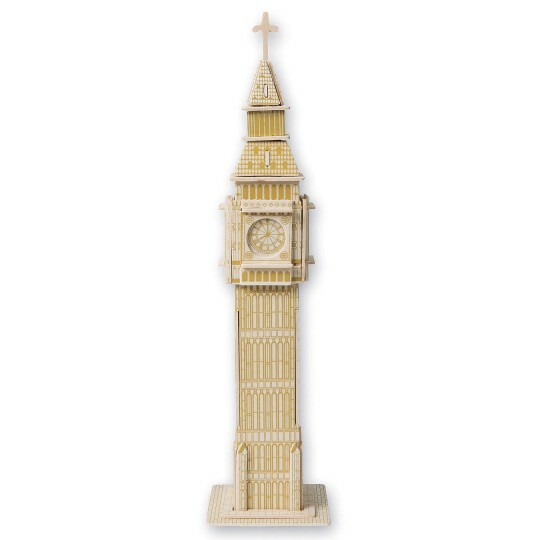 Easily assemble this replica of London’s Great Bell using punch out and slot fit wood pieces. No nails required. Includes wood pieces and instructions. Glue is optional, sold separately. Decorating supplies sold separately. Base measures 4” x 4”; assembled measures 16”H.